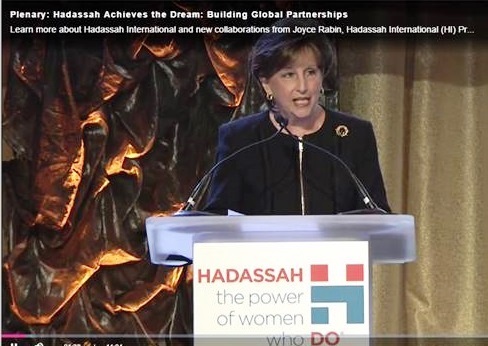 Hadassah Achieves the Dream — Building Global Partnerships: Hadassah International (HI) was proud to introduce an audience of about 700 delegates at the Hadassah, the Women’s Zionist Organization of America’s (Hadassah USA) convention in Atlanta in July to the work that Hadassah International does around the world to support the work of the Hadassah Medical Center in Jerusalem. Led by Joyce Rabin, President of Hadassah International and Melissa Kaplan, Executive Director of Hadassah International; and with the participation of Dalia Itzik, Speaker of the Israeli Knesset and President of Hadassah International Israel; Meir Mark, Director of Hadassah International Israel; Jorge Diener, Director of Special Projects for Hadassah International; and Patricia Levinson, Hadassah International Communications Chair; Hadassah International discussed using innovative techniques to reach out to new populations, tell them about the outstanding work of Hadassah, and increase support for the Hadassah Medical Center, which Hadassah International believes is much “more than a Hospital”. 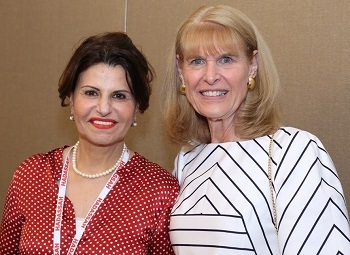 Hadassah International Israel (HII) President and former speaker of the Knesset Dalia Itzik spoke about philanthropy in Israel and the establishment of the newest Hadassah International unit — in Israel. She told the audience “I strongly believe that a strong foundation of Jewish and Israeli society must be expressed by cooperation between the Israeli public and donors from abroad”. 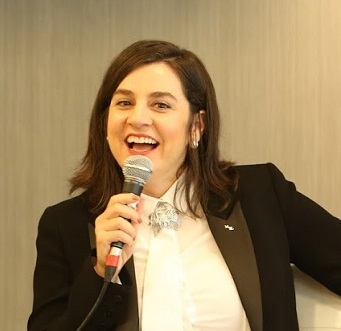 Hadassah International Executive Director Melissa Kaplan, who lives and works in Zurich, but was born in Atlanta, spoke about her deeply felt belief in the work of Hadassah. She stated that “Hadassah International is known for being somewhat of a maverick and a trail blazer. We have taken risks in our business model and have invested heavily in innovation. We build collaborations in our various countries and we build our brand and support by creative partnerships with major global companies. We also laser focus our fundraising efforts and infrastructure where we can get the best return on our investment. To this end we have entered three new markets, Brazil, Russia and Israel”. She explained that in the past, HI has brought HMO professionals to countries like Mexico and Panama to train their health professionals in trauma and other medical disciplines. However the HI Business Development pilot plan beginning in Mexico takes this one step further. The strategic plan is to leverage HI relationships with businesses/governments at the highest level with the aim of bringing Hadassah’s know-how out into the world in a way that could provide substantial ongoing revenue for the Hospital. Meir Mark, Director of Hadassah International Israel (HII) discussed the latest developments in this new Unit. 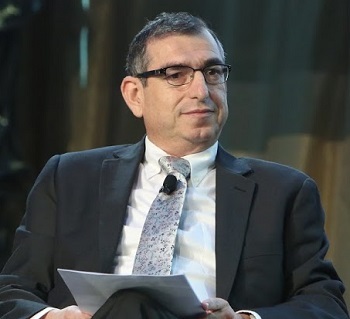 He informed the audience that the 50 members of the Board of Trustees of HII share a single goal: to promote Hadassah as the first and leading health institution in Israel. To this end they have developed several new initiatives; such as Automatic Donation positions, also known as kiosks, which read “We came to say thank you” as part the outreach to grateful Hadassah patients; establishing Childbirth education classes in communities near Jerusalem and in Haredi (religious) neighborhoods; and working cooperatively with well known international companies, such as Intel & Google. With these efforts and more, HII is reaching out to new audiences with innovative and creative approaches, including outreach to the Haredi community, the new French immigrants to Israel and the Israeli industrial community, particularly in Jerusalem. Jorge Diener, Director of Special Projects for Hadassah International continued the discussion of Hadassah’s outreach to the world. He stated that “We have built upon Hadassah’s worldwide reputation as a pioneer in medicine. Hadassah International has created a model that will not only bring Hadassah’s know-how to the world, but will do so in a way that it will bring much needed income to Hadassah’s Hospitals”. “Starting with a pilot project in Mexico, Hadassah International is currently facilitating the creation of business partnerships between HMO and local entrepreneurs. This initiative will be a win-win situation for the Mexican population, the government, the local entrepreneurs and Hadassah”. Diener went on to explain that “the realities of globalization today mean that many Jews live across borders. For many Latin Jews, Miami has become either a first or second home, and they maintain a strong connection to their language, “Español”, their music and their culture. Understanding that this group represents a new opportunity for Hadassah, Hadassah International, in full partnership with Hadassah USA, recently started an Outreach Initiative to the Latin and Hispanic communities in South Florida and California. Replicating Hadassah International’s model, this initiative targets men and women, Jews and non-Jews, to raise support for the Hadassah Hospitals”. 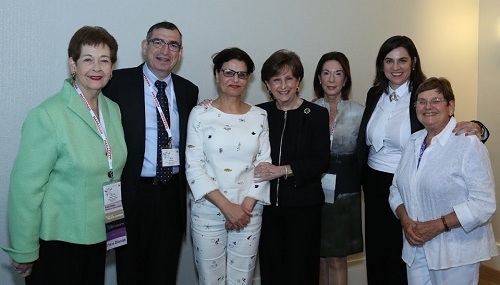 The result was the first ever Hadassah event in Spanish in the US, and brought together Jewish and Christian leaders in a dialogue showcasing the atmosphere of coexistence that is the trademark of Hadassah Hospitals. The quick rapprochement of Hispanic Christians to Hadassah opened up an extraordinary new opportunity to Hadassah both in the US and internationally. Following the visit of an important Hispanic Christian leader, Pastor Mario Bramnick, to Hadassah Ein Kerem, Hadassah USA entered into a partnership with the largest organization of Hispanic Christian churches, the National Hispanic Christian Leadership Conference (NHCLC). It is a network of 40,000 churches across the United States, representing over 10 million people who love and pray for Israel. 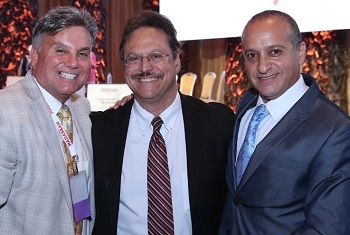 This partnership will connect Israel-loving Christians to Hadassah and bring additional support to the Hadassah Hospitals through the work of its subsidiary organization, the Hispanic Israel Leadership Coalition. This work with the Hispanic Christian Community is also expanding into Latin America. Hadassah International participated in the Global Forum against anti-Semitism in Argentina, which for the first time included the Christian Pro-Israel Hispanic organization (HILC), which sees fighting anti-Semitism as their mission, together with the World Jewish Congress and the Israel Ministry of Foreign Affairs. The Hadassah Medical Center was on their agenda! Hadassah International showcased Hadassah’s stories of life-saving actions, treating patients from all backgrounds and bringing cures to humanity, as a way to break stereotypes that are frequently the source of anti-Semitism. Diener concluded: ”We are confident that these new relationships with the Hispanic Christian Community will create new partnerships to support our hospitals in Jerusalem. For Hadassah International, these activities serve as a bridge to many new friends and supporters from all religions, men and women who are the essence and at the core of what Hadassah International is building across the globe”.